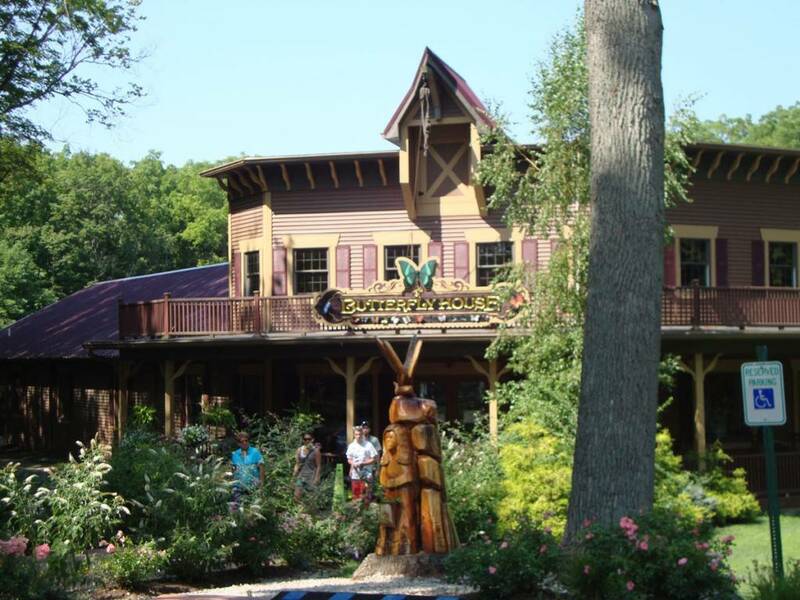 Perry’s Cave and Family Fun Center is home to the Butterfly House. Furthermore, this complex includes many other great activities on Put-in-Bay. Moreover, guests can opt to purchase a package to do several in one visit. Also, the Put-in-Bay Tour Train makes stops here. The tour train is a great way to see a large portion of the island. Most importantly, the guides tell guests about island life. Also, they expand upon the rich history of the Lake Erie Islands. So, the Tour Train is worth checking out. Choose from other great activities at Perry’s Cave and Family Fun Center. Below is a list of other fun options. The Butterfly House completed construction in 2004. The space covers over 4000 sq feet. Moreover, this aviary is carefully put together with plants that butterflies prefer. Additionally, there is lovey music playing within the structure. So, guests can basque in the lovely environment. Furthermore, there are even secret walk ways, that guests can discover in their journey. Overall, there are over 50 different species in the facility. So, kids will see many different kinds. The great attractions of Put-in-Bay are not to be missed. Moreover, this is no exception. Furthermore, the sheer delight of walking through with butterflies scurrying about is undeniable. So, you and yours will be overjoyed with this unique experience.